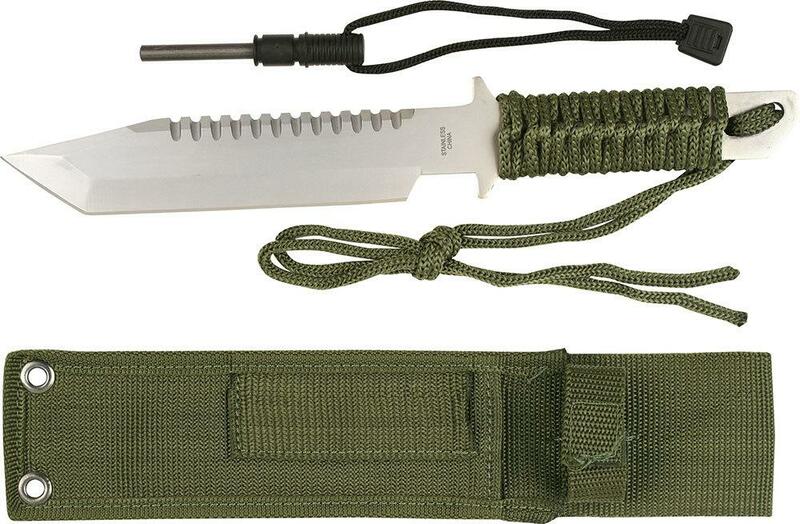 Full Tang Survival Knife w/ Fire Starter. Matte finished full tang stainless steel blade with tanto point. Includes nylon sheath & magnesium alloy fire starter.